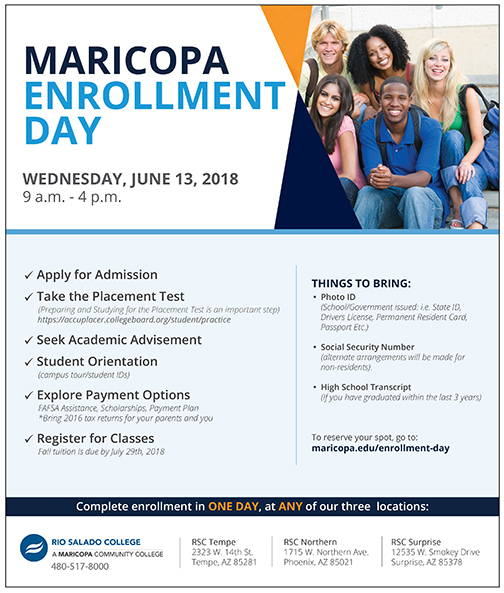 Rio Salado staff will be available to help students enroll at our Tempe headquarters, Northern and Surprise locations. Don't want to wait? Get started right now at startatrio.com. Classes start Monday! *Please Note: Students arriving after 4 p.m. will still be seen but may not complete the entire process. 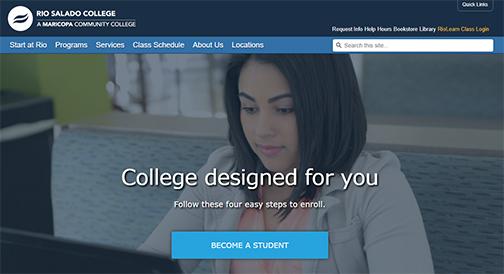 A “next steps” guide will be furnished to students who are not able to complete the enrollment process.